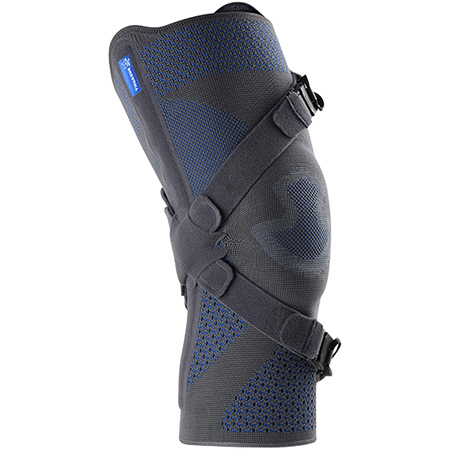 Action Reliever combines compression with a proprietary three-point force lever arm and produces a surprising, yet comfortable, corrective force that relieves pain and increases mobility. This pain relieving effect has been demonstrated through a randomized clinical trial. A comfortable pain-relieving solution: the anatomic knitted structure is luxuriously comfortable, fits symbiotically with the leg, and will never migrate.